Built by Messrs Octagon Developments Limited in 1996 to an extremely high standard, a magnificent detached family residence in a private and impressive location. The property was individually designed and lends itself to formal entertaining purposes as well as a comfortable living environment. 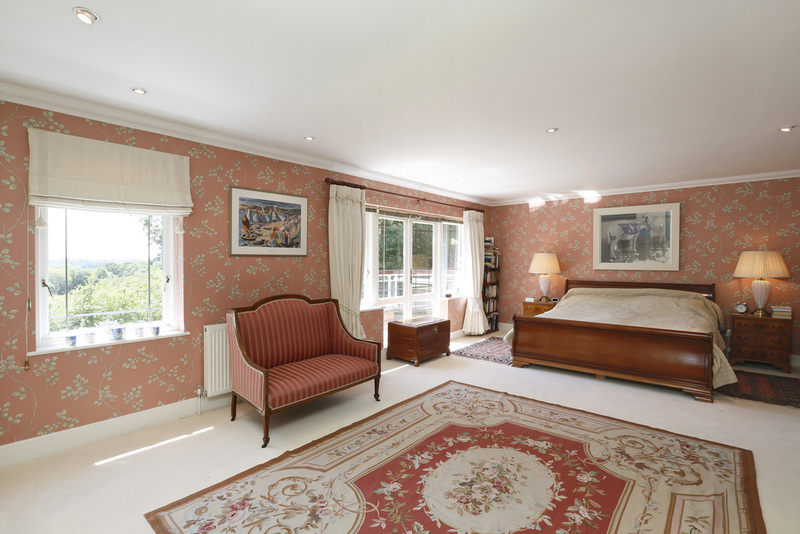 The accommodation is arranged over three floors; the ground floor reception hall with doorways leading to the drawing room, dining room, family room, study and cloakroom. 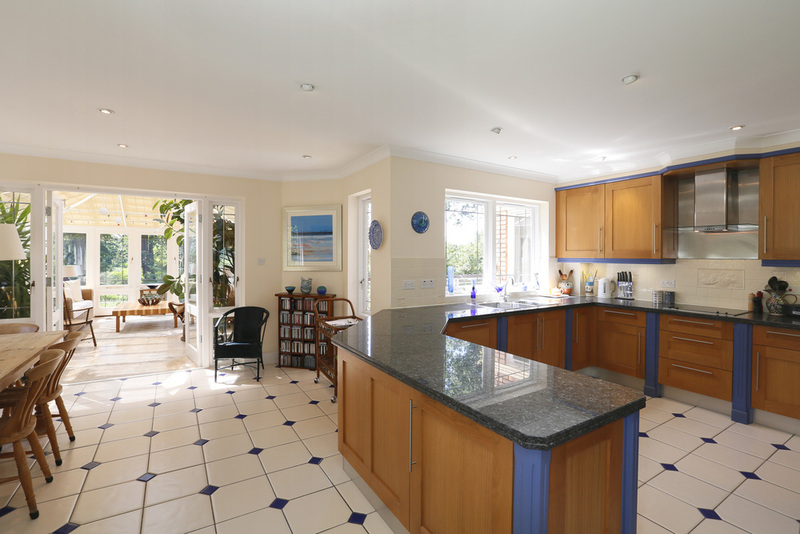 Walking through the luxuriously appointed kitchen/breakfast room, which is equipped with a full range of built in appliances, one leads into the utility room and Victorian style conservatory extending into the garden. On the first floor there is a magnificent master bedroom suite with dressing area and en-suite bathroom, three further bedrooms including two with en-suite bathrooms and a fourth bathroom. A staircase leads down from the entrance hall to the garden level where one will find the indoor heated swimming pool and sauna complex. 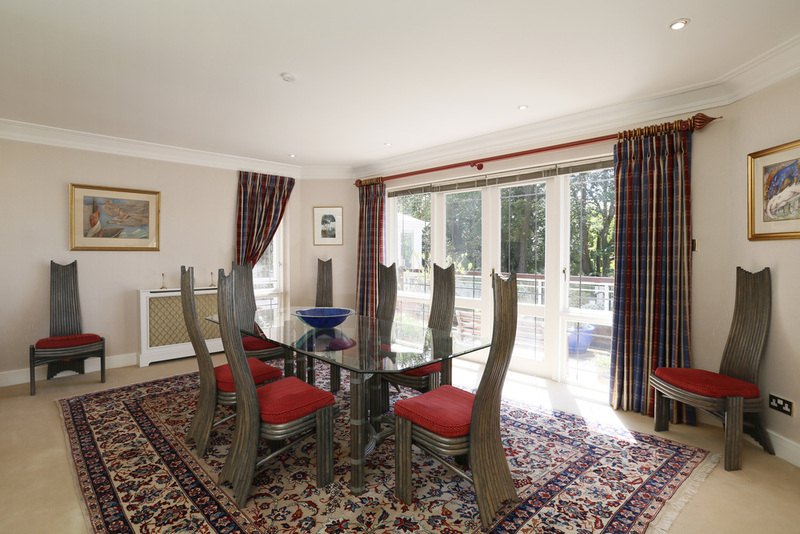 Two sets of double doors open into the large games room that can accommodate a full size snooker table. 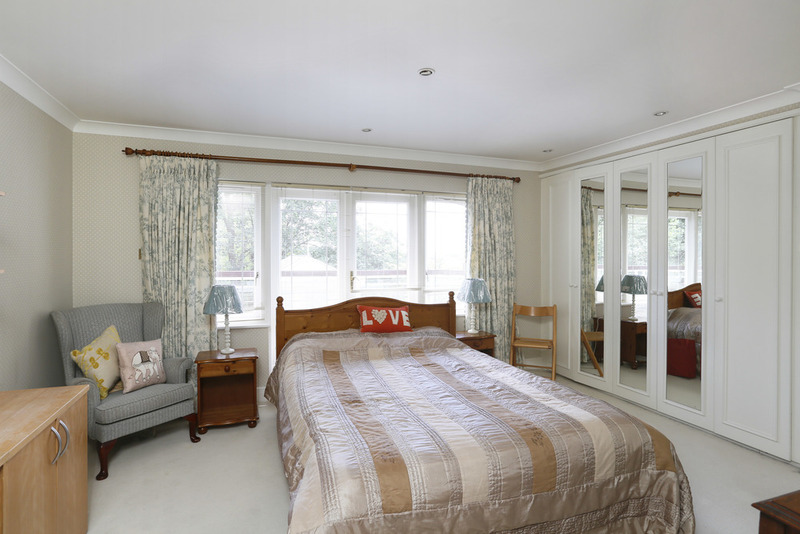 Further along the hallway, there are two double bedrooms with en-suite bathrooms one of which has double doors leading out onto the garden. There is also a wine store to this level. The double garage has a door leading to a fully operational workshop. A staircase leads up to a first floor office suite with en suite shower room. This large space could be equally well suited to staff accommodation. The rear garden is a hidden gem, with formal areas for entertaining, a woodland area with small lake and a delightful hidden walled vegetable garden. The grounds which extend to over 0.90 of an acre offer a vast range of mature plants of different species and offer a truly tranquil setting within the heart of the exclusive Coombe Estate and backing directly onto the Coombe Wood Golf Course with a Southerly aspect. 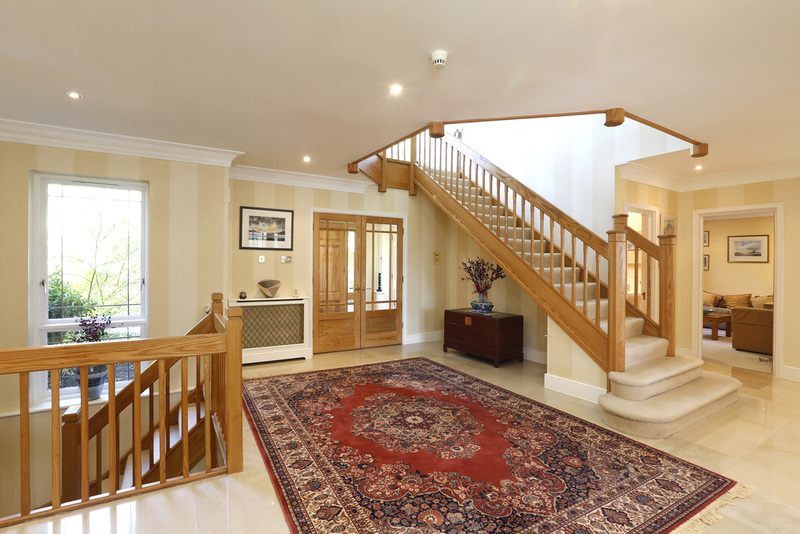 This traditionally built property is both distinctive and elegant. Its thoughtful design incorporates a number of factors that combines to create a delightful environment. Kingston town Centre with its superb shopping facilities is within two miles of the house and is noted for its department stores including Bentalls, John Lewis, various supermarkets and individual shops with well known high street names. The River Thames runs alongside Kingston and therefore offers scenic walks and boating facilities. Richmond Park is within half a mile of the property and enjoys thousands of acres of open woodland. The A3 offers direct road links to Central London and the Surrey countryside. In the general area there are schools for children of all ages and three private schools; Rokeby, Holy Cross and Marymount International within the Coombe Estate itself along George Road. Sporting facilities also include golf courses, two of which are in Coombe Hill, tennis, horse riding, gymnasiums, etc.